The Intel Core i5-520M is a dual core CPU for laptops and clocks (due to the Turbo Mode) from 2.4 to 2.93 GHz. Each core is based on the Nehalem (Westmere) micro-architecture. Hyperthreading enables the Dual Core CPU to handle 4 threads at once (for a better usage of the pipeline). Compared to the faster Core i7-620M, the 520M features only 3 MB Level 3 Cache and a lower clock speed (CPU and GPU). A feature of the new Core i5-520M is the integrated graphics card called GMA HD and memory controller. Both are on a separate die that is still manufactured in 45nm whereas the CPU die is already manufactured in the new 32nm process. The performance of the i5 520M is on average faster than a Core 2 Duo T9500 and due to the Turbo Boost, single threaded applications run even better. Therefore, the Core i5-520M is as fast as high clocked Core 2 Duo CPUs and should handle most gaming and multimedia tasks well. The 32nm cpu cores of the Westmere generation can also process some new instructions to accelerate AES encryptions. The integrated Intel Graphics Media Accelerator HD (GMA HD) graphics card is known to be clocked up to 500-766 MHz and should be clearly faster than the old GMA 4500MHD. A GeForce 9400M (ION) should still be a faster (especially as Nvidia and ATI cards have a better driver support than Intel up to now). According to rumors, the GMA core will also use the Turbo Mode regulate the clock speed. The power consumption of 35 Watt TDP (max.) counts for the whole package and therefore it is clearly better than the 35 Watt TDP of the Core 2 Duo T-series (CPU alone). Due to the Turbo Boost, the Core i5 more likely uses the TDP under load than the older Core 2 Duo CPUs. Without any load, the i5 uses noticable less power. 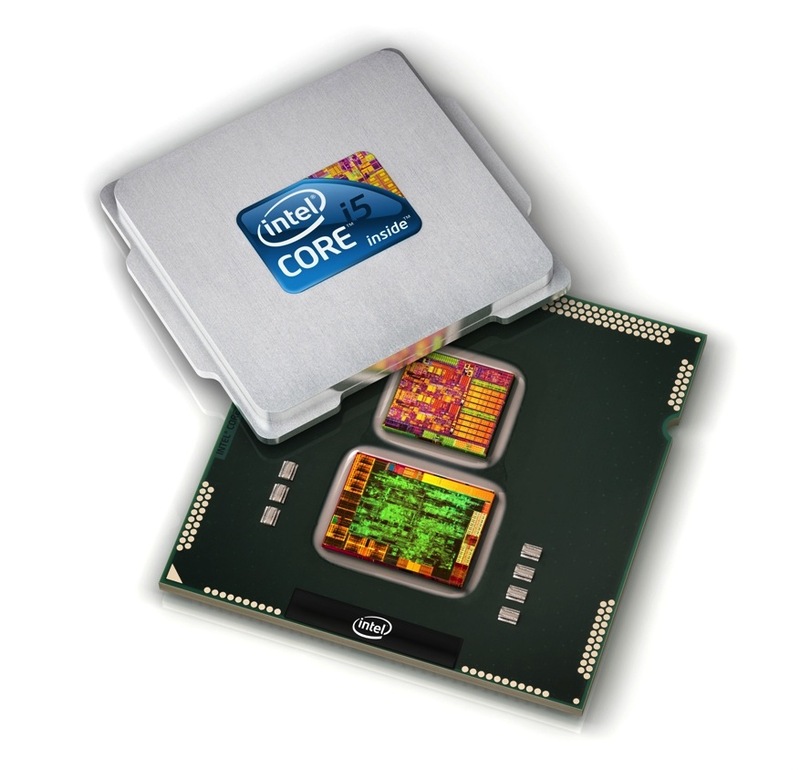 The Intel Core i5-580M is a high end dual core CPU for laptops and clocks (due to the Turbo Mode) from 2.66 to 3.33 GHz. Each core is based on the Nehalem (Westmere) micro-architecture. Hyperthreading enables the Dual Core CPU to handle 4 threads at once (for a better usage of the pipeline). Compared to the Core i7-620M, the 580M only has 3 MB Level 3 Cache. A feature of the new Core i5-580M is the integrated graphics card called GMA HD and memory controller for DDR3-800/1066. Both are on a separate die that is still manufactured in 45nm whereas the CPU die is already manufactured in the new 32nm process. The performance of the Core i5-580M should be a bit beyond the Core i7-620M and therefore the second fastest dual core CPU for laptops in 2010. Compared to the older Core 2 Duo models, the i5-580M should be faster than the T9900. Therefore, the Core i5-580M is a high end dual core cpu which should handle all daily work and gaming tasks. Only the quad core i7 CPUs can be noticeably faster at tasks that require four or more threads (e.g. rendering). The power consumption of 35 Watt TDP (max.) counts for the whole package and therefore it is clearly better than the 35 Watt TDP of the Core 2 Duo T-series (CPU alone). Due to the Turbo Boost, the Core i5 is likely to use the whole TDP of 35 Watt under load and therefore can use more power than a similar specified Core 2 Duo. In Idle mode, the i5 uses clearly less power than the Core 2 Duo CPUs. In the following list you can select (and also search for) devices that should be added to the comparison. You can select more than one device. Quality journalism is made possible by advertising. We show the least amount of ads whenever possible. We intentionally show more ads when an adblocker is used. Please, switch off ad blockers.